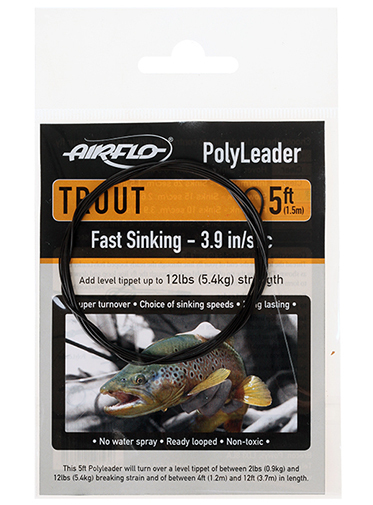 These Airflo 5ft Trout Polyleaders are perfect for casting on turbulent streams or for searching the depths of your local lake. This Airflo range of polyleaders cover the full spectrum of trout fishing situations. Each polyleader is smoothly tapered to give easy turnover of dries, nymphs and streamers and opens up many new techniques not only with a floating line but with sinking lines as well. Highly durable, these polyleaders have a low coil memory and a built in shock absorption. These revolutionary leaders aid precision, accuracy and depth control and have super suppleness. Simply attach a length of tippet to the end and you are ready to go!